You will need a recent version of Node and Create React App installed on your machine. In this tutorial, we are going to build an online chess game, allowing for people to both play games against each other and to spectate on other ongoing games. This will include a matchmaking lobby and per-game chat rooms for spectators whilst the game is in progress. In order to follow along, you will need a recent installation of Node.js as we will be using this for both the client and server. The server will be written using the Express Generator, and the client using Create React App, so these need to be installed as well. Before we can start, we need to set up the basic structure of both our front and backend. This will then allow us to progress through the rest of the article expanding both as needed. We can also now delete the App.css and logo.svg files since we won’t be using them. We can also now delete everything in public and routes. Finally, update bin/www so that the default port is 4000 instead of 3000. This is needed so that we can run the UI and Backend service independently on the same machine. The first thing we want is a list of the existing rooms. These are the lobby where matchmaking will occur as well as the rooms for the actual games to be played in. Before anything else, we need to have support in our backend system to authenticate the Chatkit sessions. 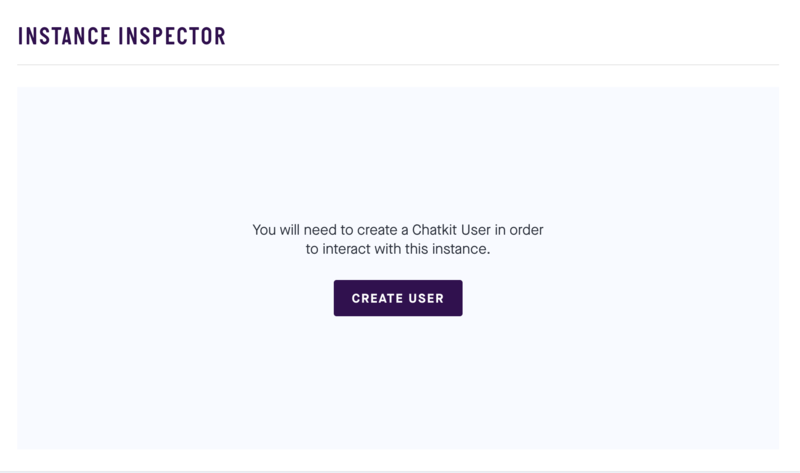 This allows the UI to connect to Chatkit using a particular username and for our own backend to assert that they are allowed to do so. Note: make sure you replace CHATKIT_INSTANCE_LOCATOR and CHATKIT_SECRET_KEY with the correct values you obtained earlier. Note: this doesn’t do any real authentication. It allows any username entered to join the games. This code will accept a username, ensure that the user with this username exists, and then return the correct response to indicate that this user has authenticated successfully. This mounts our authentication router under /auth for our Chatkit instance to call. Note: make sure you replace CHATKIT_INSTANCE_LOCATOR with the value you obtained earlier. Note: this uses the URL http://localhost:4000/auth for the authentication endpoint. This is the one we wrote in our backend earlier and is running on our local system. 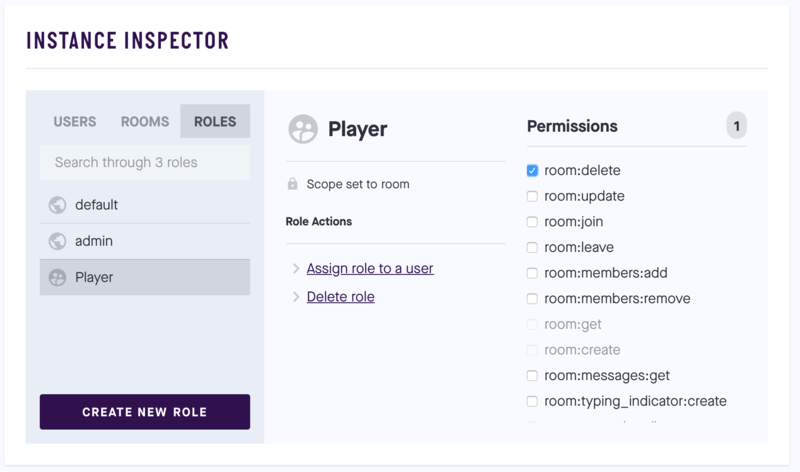 This will maintain the Chatkit connection and will periodically update the list of rooms - both ones that we are currently members of and ones that we are able to join - and provide these to our component for rendering the rooms list. 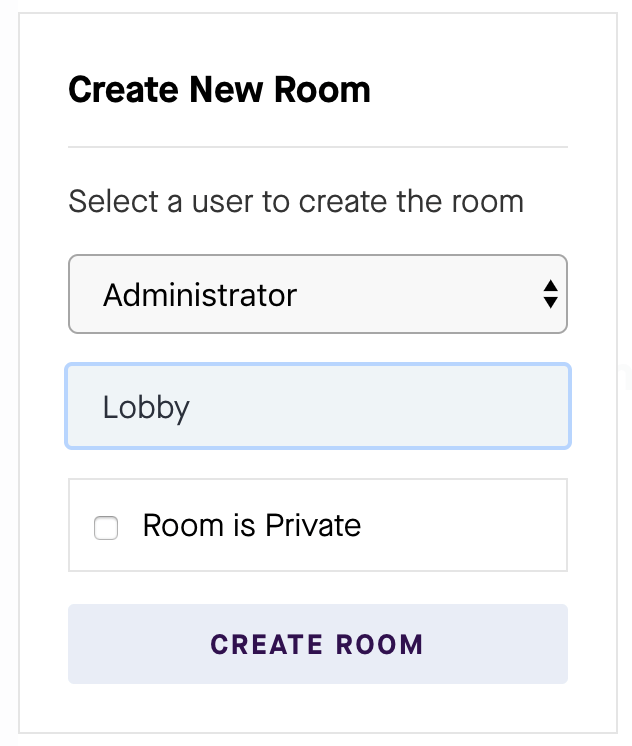 We also keep track of the Room ID of the room called “Lobby” - since this is a special room - and we make sure that the user is a member of this room when they first open the app. 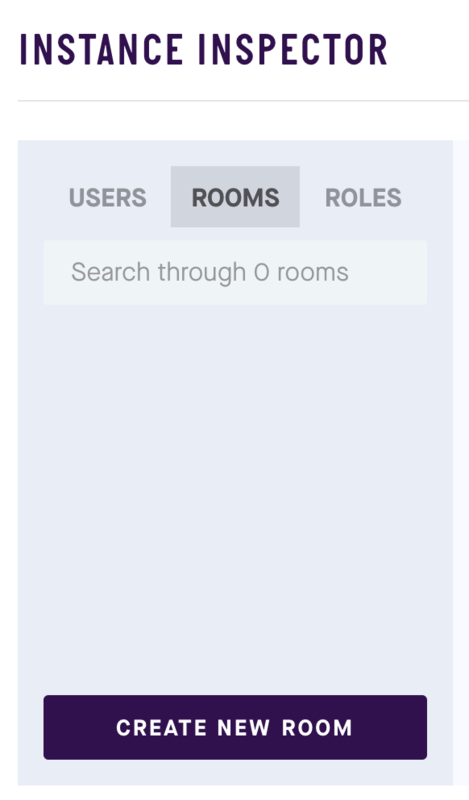 Once we can log in and list the rooms, we want to actually create a usable chatroom. This will allow the users to chat to each other, and to challenge each other to games. We will also have a chat room per current game, so that both the players and spectators can converse whilst the game is going on. First we construct the new component. 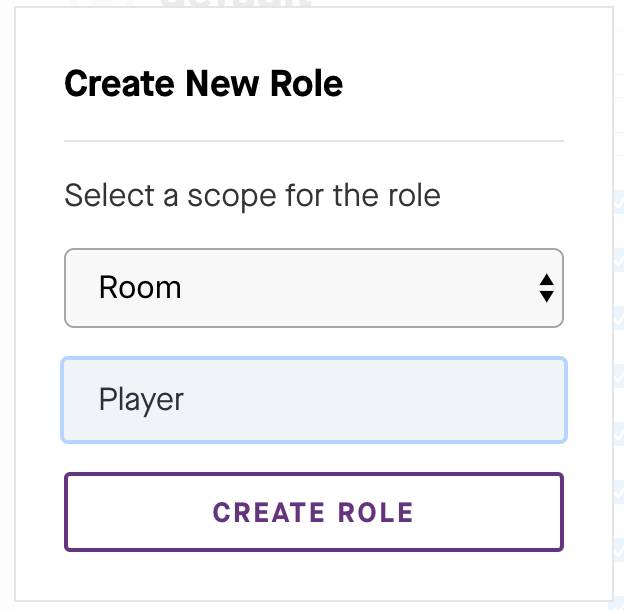 This sets some initial state - which includes the initial set of room members - and sets up some callbacks for when interesting things happen to the room. These callbacks allow us to keep the list of users in sync, and to automatically react when new messages are posted. We also indicate that we want to retrieve the most recent 100 messages from the chat. After this we actually render the room. This renders a list of messages - fixed to a height of 20em to make it manageable - and a list of the room members. We also render a form to allow the user to type a new message to send to the room. Next we have some helper code to ensure that the list of messages is always scrolled to the bottom after any changes. Finally we have the handlers for the current user typing a message and sending it. This allows us to render the chat room for the room the user is currently active in, using the component we’ve just defined above. Now that we have our chat room that we can talk in, we want to actually be able to challenge players to a game of chess. This will all be done in the chat room using features that are provided to us. The second of these is just a placeholder for now - we will fill it out properly later. The first of these simply sends a message - the same as if it were typed out - but makes use of the Chatkit Attachments to indicate that this message is actually a challenge from one player to another. Our attachment is a specially formed URI that indicates who the player is that we are challenging. Note: Chatkit Attachments must be either the actual file data or a URI linking to the file. We’re abusing it slightly here to provide a link to another player instead, but it works great for our needs. This is the same as before, but if the message has an attachment that starts with the string “urn:player:” and that player is myself then we put this into our messages structure for rendering. We can now see that players can challenge each other and the person being challenged is given a link to accept. Once we can challenge players to a game, we need to actually be able to accept a challenge and start a game. We are going to store the game state on our backend, and we will access this using an ID that is the Room ID of the room the game is being played in. This helps keep everything consistent. This gives us handlers for creating a new game, for retrieving the current state of a game, and for making moves in a game. Note: we have put no logic in here to validate the moves, or to support certain special moves such as castling or en passant. We also have no support for promotion of pawns that reach the eighth rank. This mounts our gameplay router under /games for our UI to call. Once this is done, stop and restart the backend server by calling yarn start. This now creates a new Chatkit room for the new game, and then calls a callback that we’ve been provided to tell the overarching component what’s happened. Note: this uses the URL http://localhost:4000/games for the games endpoint. This is the one we wrote in our backend earlier and is running on our local system. This will call our new backend handler to create a new game, and then it will update the component so that the newly created room is active - forcing the player that accepted the challenge to immediately see the game. The next thing we need to be able to do is to support playing the game. This means displaying the chess board and allowing players to interact with it. Again, there is a lot going on here, so we’ll break it down. To start with, we have a mapping between the codes we defined in our backend for the different chess pieces and the unicode symbols that we will use to render them. We then have our component that renders the player area. The render function for this generates an SVG on the fly, drawing the board and putting the pieces in the correct places. We also put a red square over the active square - if there is one - and have a transparent square over the entire board for the players to click on. We also render next to the board the players, indicating who is playing which color. Next we have a handler for when the board is clicked on. This calculated which square was clicked on, where (0, 0) is the top left corner and (7, 7) is the bottom right corner, and then reacts accordingly. Finally, we have a handler to load the current game state from the backend so that we have something to render. We are now going to introduce Pusher Channels to indicate that a given game has updated and cause all players to see the updated board. 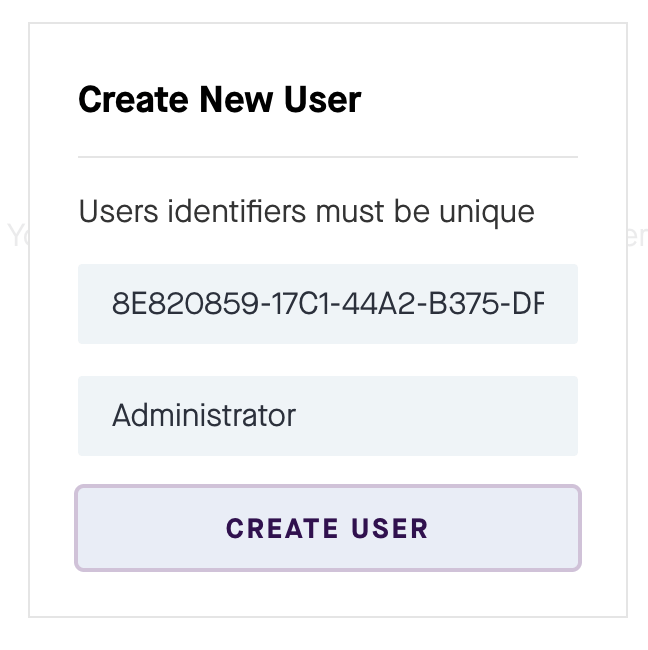 Note: make sure to replace PUSHER_APP_ID, PUSHER_APP_KEY, PUSHER_APP_SECRET and PUSHER_CLUSTER with the values that you obtained when creating the Pusher Channels app instance. Note: we don’t actually send the new state of the game, just an indication that it’s changed. The client will always get the new state by calling the server, which ensures that there is no risk of sending a stale state. At this point the backend can be restarted, using yarn start. Note: make sure to replace PUSHER_APP_KEY and PUSHER_CLUSTER with the values that you obtained when creating the Pusher Channels app instance. We can now not only play the game, but watch it unfold in realtime. The only thing left is to tidy up the rooms after games have finished. This means deleting the rooms when the players have left, so that they don’t clutter the interface up. We are going to implement this by deleting the room when the last of the two chess players leaves, meaning that any spectators will also get booted out. Next we want to delete the room if the last of the players leaves. In order to do this, we need to be able to determine the players that are in the room and compare then. We can now only ever leave a room that we are actively looking at, and if we leave the room when we are the last chess player, the system will automatically delete the entire room. This tutorial shows how we can create an online game, providing a fully featured chat environment using Pusher Chatkit and realtime updates of gameplay using Pusher Channels. All of this done in HTML5 using standard libraries and techniques that are increasingly common across the web today. The full source code for this can be seen on GitHub.